Welcome to PowerlevelingMMO.com , DCUO Cash and DCUO Power Leveling, enjoy the 5% off. Ask code for live chat. 1. Select a product and pay for it. 2. We will login your account to start DCUO Power Leveling. in 10-15 minutes, you will receive a notification via email or sms. If you cannot find our notification even in spam or junk folder, you should contact our live support to check if your order goes well. 3. We will update your level daily so that you can trace the level online. Also you can check the actual level via by MSN, Skype, Email or Live support. 4. When order is completed, we will send order notification via email with screenshot. 5. Please update your password after order completed. 1. Once your order is completed, please change your account password to keep your account safe. 2. Please don’t login game client during the process of DCUO Power Leveling. 3. If you have some questions, please feel free to contact us by MSN, Skype, Email or Live support. 4. Accounts safe are guaranteed. DC Universe online 1-30 + 1000 Mark of Triumph - HOT!! DC Universe online 1-30 + 50 Mark of War - HOT!! We only employ the most professional players and assign only those familiar with your specific class to level your characters. So your character can be leveled by our professional DCUO power leveling players who are expert in DCUO. We have helped thousands of players reached their desired levels at their appointed time. In addition, we have a strong credit standing and the safety of your DCUO power level account will be protected forever. 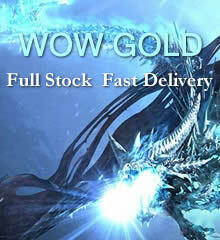 We guarantee to provide only safe Cheap DCUO powerleveling and finish your order in time. We understand you don't want spend much time on ordering, so we try our best to make your purchase fast and easy. And your individual information will be totally safe. Professional DC Universe Online leveler, local IP address. Hand-made DCUO Power leveling by doing quests, no use of Bot or Exploitation. You can end your order any time and we will refund the unfinished part. We promise to refund any dissent part after verification when DCUO power leveling is finished.